Cucumber juice is excellent for skin, hair and nails. I also call this one Glowing Skin Juice. 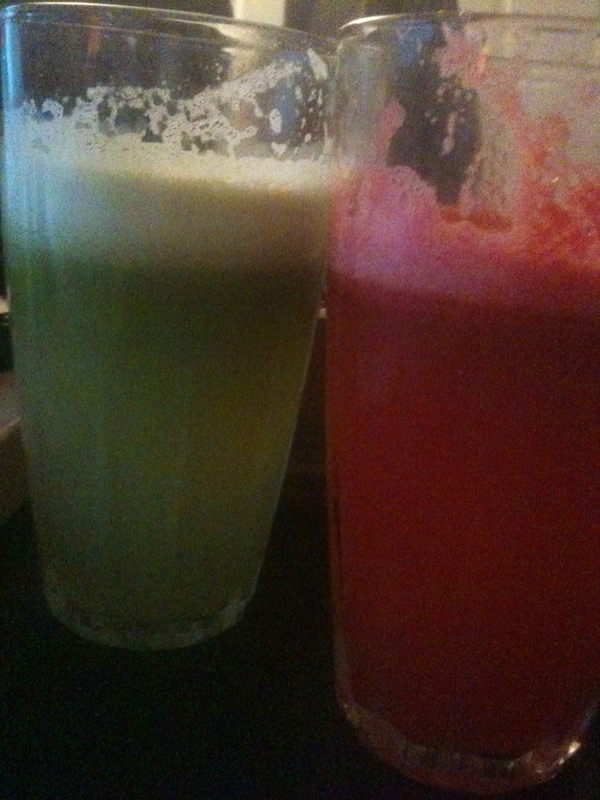 Next to it, is pure watermelon juice with rinds.